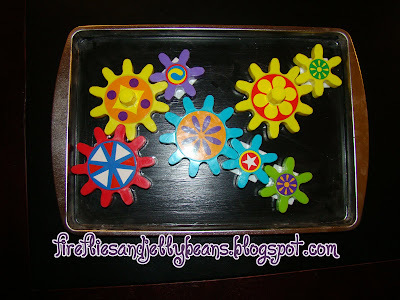 Fireflies and Jellybeans: How to make a Magnet Chalkboard! I was trying to think of car activities for my son. With summer coming, that means more road trips (especially since grandma and grandpa live 3 hours away!) My son loves to play with Magnets and he loves to draw. I thought "I wish I could find a big metal thing for him to play with his magnets!" Later when I was cooking, it hit me... a COOKIE SHEET! 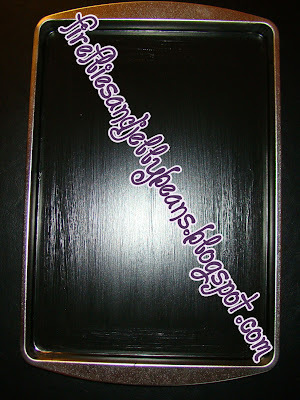 So I made a magnet chalkboard from a cookie sheet! 1. Sand your cookie sheet. I found that the sand paper worked better then the steel wool. most cookie sheets have a non-stick finish so you want to scratch it up really good! 2. Spray with primer. I know that most chalkboard paints tell you that you do not need primer but because the cookie sheet has a non-stick finish you should still use it. I tried it without the primer and the paints scratched off! This is after the 1st coat. This is after the 3rd coat. 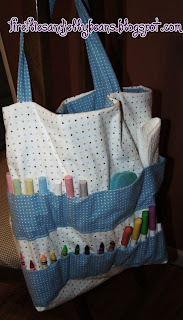 Click here to find out how to make the activity bag to go with it! 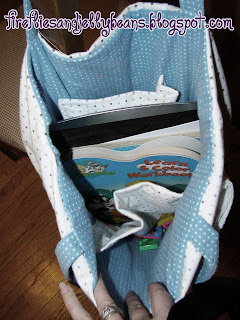 There are lots of possibilities with this bag and it can grow with the child! great idea! and i love that someone else spray paints right on their grass too! my hubby thinks im the only one and just shakes his head! Thanks for sharing this clever idea! very clever! I love the photo of the spray paint on the grass. it looks almost surreal. Love the magnet chalk board!! Looking forward to more of those "roadtrips" to Gma & Gpa's house!! Miss you guys!!!! Now that my little buddy is two, he is ready for car activities - this will be great for our 5 hour car ride to great-grandmas house this summer! What a great idea! I definately need to make these for my kiddos for church and the car! Thanks for the idea! This is so great. I want one for myself! Great idea. Oh, the long road trip with little children! That is so awesome. My kids are both really into magnets AND chalk. Perfect combo! What a fun idea! I love it. :) The activity bag idea to go with it is awesome, too! Thank you for linking up to Talented Tuesday! 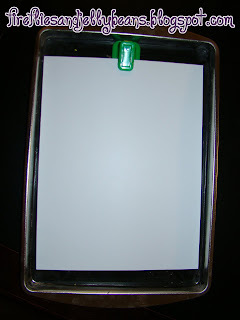 Your right this is a great project to do with kids. I'm going to have to try because lord knows I have enough old cookie trays to use! LOL! Thanks for linking up this week. I hope you'll join me tomorrow for another great party! I just found your blog through Poppies at Play. I love it!! This is such an adorable idea, thank you so much! What a fantastic idea! I am going on a 14 hour road trip with my girls and hubby in June and this is going to be a huge lifesaver!!! Thank you so much for sharing! That's a fantastic idea. I'm off to get more craft supplies! I love what you did with the cookie sheet. We have been using a cookie sheet for a magnetic activity too. I have been trying to figure out how to pretty it up.. 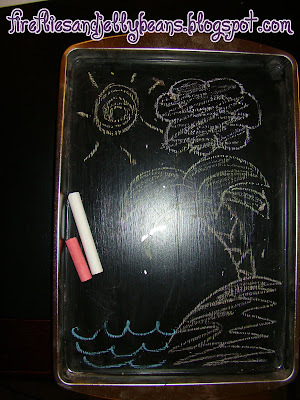 This is a great idea and think we still have some chalkboard paint around here somewhere. A fine and dandy idea! I shall share this with my daughter!